Home Entertainment Yet another track ‘Saak’ from ManjeBistre 2 released! 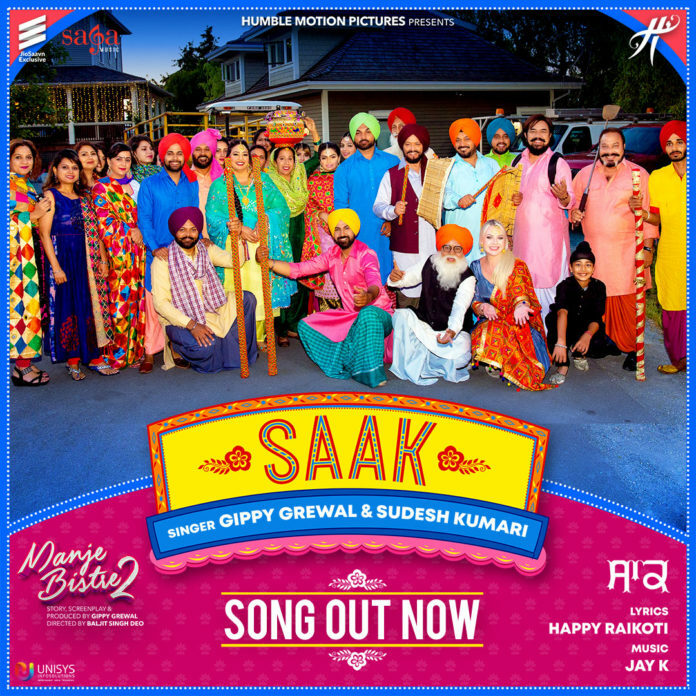 Amidst the audiences going gaga as the film’s release is nearing, the makers of ManjeBistre 2 have released yet another bhangra track titled ‘Saak’ this morning. The team has been very innovative, and on their toes to ensure their fans and audiences across the globe are always treated with happy surprises. ‘Saak’ is wonderful sung dance number which is sure to be added in your dance playlist. The entire ManjeBistre 2 family is seen dancing together in this song. Singer-Actor Gippy Grewal has, once again, given us a signature dance step on this song. We see a glimpse of his sons Ekomkar Singh Grewal (Ekam), and Gurfateh Singh Grewal (Shinda) featuring in this song, dancing with a bunch of other child artists. ManjeBistre 2 is the second franchise of the blockbuster film ManjeBistre which was released in April 2017. Expectations are mounting, and are positive that this sequel is going to make people laugh harder. It is produced by Gippy Grewal, under his home production Humble Motion Pictures. 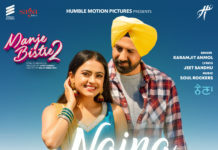 Directed by Baljit Singh Deo, ManjeBistre 2 is going to hit the silver screens on the 12th of April, 2019.